Know the past. Create the future. Apple recently removed the headphone jack from the iPhone 7. Owners of the new model are required to use wireless Bluetooth audio or the Lightning port—the only connector on the phone that also charges the battery—for wired headphones. 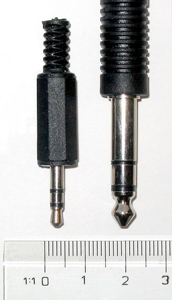 If the headphone jack is a must, owners can purchase the Lighting-to-3.5mm audio adapter separately for $9. The missing headphone jack has upset some Apple customers. At the iPhone 7 launch, marketing chief Phil Schiller drove home the company’s reasoning, “Maintaining an ancient, single-purpose, analog, big connector doesn’t make sense because that space is at a premium.” As some tech journalists have pointed out, Apple’s decision comes down to one word: progress. Actually, the 3.5mm headphone jack is based on technology that is more than one hundred twenty-five years old. It is a miniaturized version of the phone connector originally developed in the late 1870s for operators to manually connect telephone calls by plugging cords into a switchboard. The 3.5mm format was created in the 1950s for the transistor radio earpiece and was modified in the 1960s for the Sony portable FM radio and again in 1979 for the Sony Walkman. The fact is that the analog headphone jack has been an anachronism since compact disks and other digital technologies like optical audio became available more than thirty years ago. As with many earlier decisions by Apple—like eliminating floppy disk and CD-DVD drives, replacing parallel ports with USB ports and adopting Wi-Fi and Bluetooth wireless—the abandonment of the headphone jack, although disruptive, will allow the next generation of technology to develop and flourish. Interfaces and standards for connecting things together is an important part of electronics and computer history. The adoption of a new format, design or methodology over earlier ones—like USB for SCSI or Thunderbolt for FireWire—is complex and involves a mix of science, engineering, economics and a bit of good luck. In some cases, innovation can fill a void and be embraced rapidly if the cost of adoption is affordable. In other instances, persistent obsolescence can override innovation due to design weaknesses or ease-of-use considerations. Robert Howard—a prolific inventor for seven decades beginning in the 1940s—was among the first engineers to understand that open technology standards were needed to connect computer equipment together. 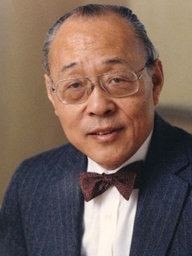 In the late 1960s, along with Dr. An Wang and Prentice Robinson at Wang Laboratories, Howard developed the 36-pin Centronics parallel interface to connect the Centronics Model 101 dot matrix printer to computers. Although the Wang Labs team could not have predicted it, the Centronics connector took off and became one of the most successful computer connection technologies ever made. One reason for its success was the performance advantages over previous serial interfaces: parallel could carry multiple data streams between devices and could also simultaneously transmit status information. More fundamentally, however, was the fact that the computer industry in the 1960s was going through a transition. Prior to the Centronics interface, each computer manufacturer used proprietary solutions designed to block customers from buying equipment from competitors. As the computer peripheral business expanded rapidly, however, the lack of standardized connection methods had become a barrier to progress. As described by Robert Howard in his autobiography Connecting the Dots, the Centronics parallel port was the beginning of a shift in business philosophy among computer companies: “We came to the conclusion that if we developed a very easy, simple interface and gave it free to the world, it might be accepted and used by everyone. Apparently, the practice of creating unique interfaces was so resented by everyone in the computer industry that once IBM accepted our interface, seven other major companies immediately followed suit.” This was not the first or last major technical accomplishment associated with Robert Howard. Robert Howard was born Robert Emanuel Horowitz in the Brownsville section of Brooklyn, New York to Samuel and Gertrude (Greenspoon) Horowitz on May 19, 1923. Robert’s father worked the midnight shift at the Main US Post Office in New York City. Although he was born three months premature and was afflicted with dyslexia, Robert grew into a very likeable and stout youngster with athletic talent in several sports. After the family moved to Flatbush, Brooklyn, Robert spent much of his spare time at the Brooklyn Ice Palace where he learned to skate. He played youth hockey and his skills on the ice were noticed by the hockey coach at Brooklyn Technical High School, an elite all-boys public school. Despite his marginal grades, Robert was recruited to attend Brooklyn Tech as along as that he promised to improve his studies. While at Brooklyn Tech, Robert excelled at machine shop and woodworking. He built a model airplane out of balsa wood and tissue paper and a refurbished gas engine as a school project. His 1937 delta-wing design was ahead of its time and he received an award for it. 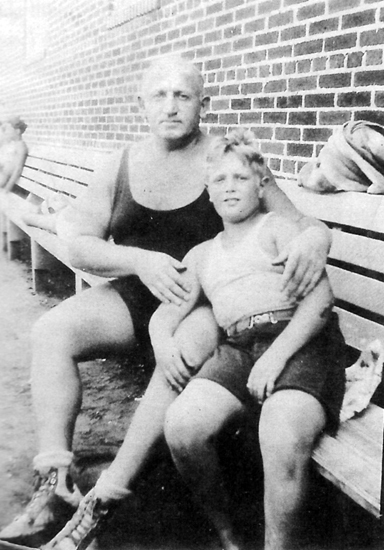 Robert was very close to his maternal grandfather, Isaac Greenspoon, who immigrated to the US from Odessa, Russia in 1910. Isaac started a window-shade business on Manhattan’s Lower East Side that became very successful. Robert worked at his grandfather’s company as a teenager and acquired business skills and decision making that would later prove to be a critical part of his own success. Although no one, including family members, expected Robert to graduate, he not only received his high school diploma but was awarded an athletic scholarship to attend the college of engineering at Columbia University. By the time of his graduation from Brooklyn Tech, World War II was well underway and the Horowitz’s changed their name to “Howard” to avoid the anti-Semitism that was on the rise during that period. Before attending Columbia, Robert took a summer job working the night shift for the Sperry Gyroscope Company in Brooklyn. He was hired to operate the milling and cutting machines used to produce parts for US military searchlights. He kept the job when college classes started so he could cover his living expenses. In a stroke of good fortune, Robert was hired as an engineer for a new vacuum tube project at Sperry. Although he was still a student and did not have an engineering degree, the new position required the machine-shop skills that he did have. Robert switched to night school and threw himself into the vacuum tube development program. This was his first experience with electronics and, like so many other innovators of his generation, the field soon became a focus of his work and he stick with it until the end of his career. After a brief stint in the army, Robert was hired as an engineer at Sylvania Electric Company in Queens, New York. Starting at the age of twenty, he became involved in a seemingly endless series of projects in a wide variety of pursuits that would establish him as a pioneer of post-war electronics innovation. His accomplishments would include the founding of at least twenty-four different companies and the development of dozens of state-of-the-art inventions. All early television sets had round picture tubes. 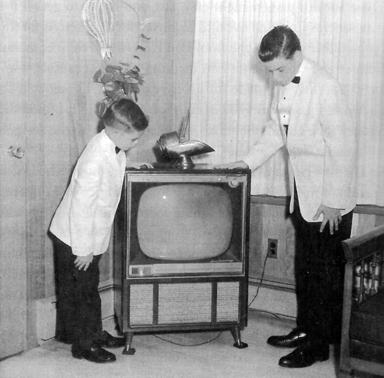 This meant that the rectangular broadcast image was either clipped the top and bottom or was reduced in size to fit in the 7, 10, 11 or 14-inch standard diameters of the first TV tubes. While working for Sylvania, Robert Howard proposed a rectangular tube design and convinced the company to manufacture one hundred of these 16-inch television CRTs. After founding Howard Television, Inc. to build and sell his own design for black and white TVs, Robert secured a contract to create the first cable TV system that was designed as part of the newly constructed Windsor Park apartment complex in the Bayside section of Queens, New York. Later known as the master antenna television system (MATS), the project connected 18 buildings with a total 320 apartments via coaxial cable to a single television antenna with a signal booster and splitter that enhanced the reception for seven TV channels from the New York area. Right around the time that the recording industry was transitioning from 78s to LPs, Robert was collaborating with a company that made the machines that pressed vinyl records. He helped to improve the quality of the mass-produced records by introducing zinc plates into the process. He also invented a pressurized steam-based system for controlling the temperature of the molten vinyl as it was extruded into the record press. Known as the “The Boomer,” Robert Howard’s invention significantly increased the volume of phonograph record production while maintaining the highest stereo quality. 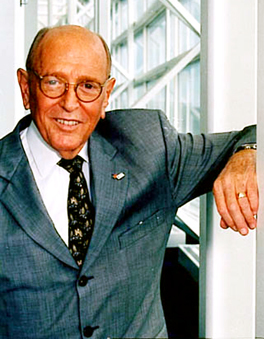 As a division of Wang Laboratories, Robert Howard founded Centronics to build the first computerized system to prevent skimming at casino gaming tables. Robert’s system tracked the relationship between the amount of cash coming in versus the value of chips going out. The computerized register centrally tracked the amount of each transaction, each table number and each dealer at any time during the day. Robert Howard’s work with the casino industry led to plans for a printing device that could produce multiple hard copy records of gaming transactions. The available technologies of that time were either too expensive and large or too small and slow for this purpose. Working with Dr. Wang at Centronics on a new computer printing device, Robert’s curiosity and sense of entrepreneurship put him on a path toward innovations that helped bring the printing industry into the digital age. Electronic impact printers with ink-soaked cloth ribbons like typewriters had been developed by IBM in the 1950s for printing from mainframe computers. These machines used a chain with a complete set of characters passing horizontally across the paper at high speed. As the paper moved vertically line-by-line, type hammers struck from behind and drove the accordion folded, tractor-fed paper against the ribbon and type characters on the chain. The IBM line printers had the speed that Robert needed but they cost about $25,000 and were the size of a large piece of office furniture. While at Wang Labs, Robert developed a self-contained impact print-head could be made to produce type characters on paper from a matrix of one hundred dots. His invention used wires or “pins” that could print up to 185 characters per second and hit the ribbon and paper hard enough to print all four copies of a multi-part form. The core technology of his invention was an electromagnetic switch that could make each pin strike the printing surface one thousand times per second, more than enough to satisfy the performance required for the gaming reports, and at a cost that was affordable. Following the formation of an independent partnership with the Japan-based Brother Industries, Robert Howard’s dot matrix technology was deployed in the Model 101 Centronics printer. 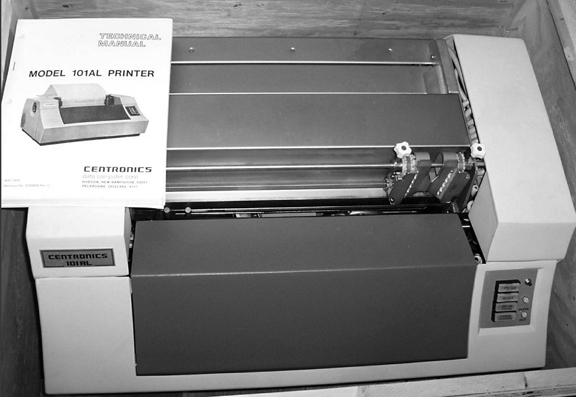 Although there were competing dot matrix devices on the market, Centronics became the most successful mass production printer of the early computer industry. By the mid-1970s, sales grew exponentially and reached tens of thousands of units internationally. 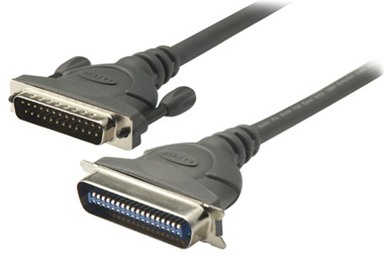 It was the popularity of the printer that made the above-mentioned Centronics interface into an industry standard for connecting peripherals to computers that lasted for decades until it was replaced by the Universal Serial Bus (USB) in the 1990s. Robert’s breakthrough concept was to image the printing plates on the press itself and eliminate the darkrooms, film and chemistry associated with prepress processes. 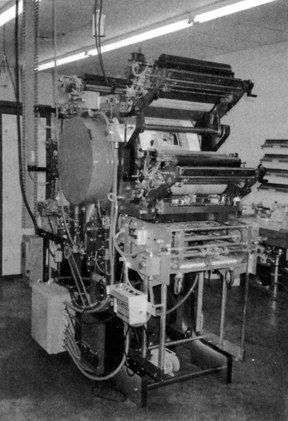 By 1991, a Presstek laser imaging system was added to a Heidelberg offset printing press and sold as the Heidelberg GTO DI (for direct imaging). At the center of the Presstek system was a set of four-color thermal laser heads that imaged plates on press. Aside from the novelty of the on-press plate imaging, the Presstek technology was waterless and was easily retrofitted onto the existing Heidelberg GTO design because it took the place of the unneeded dampening system. Beginning in 1993, Presstek and Heidelberg developed the Quickmaster DI press, a printing system that was designed from scratch with the on-press laser imaging technology. Launched at DRUPA in 1995, the Quickmaster DI became one of the most popular Heidelberg offset presses ever with 5,000 machines sold within the decade. The press included design innovations that made it easier to operate than previous offset systems. With this innovation, Robert Howard invented a technology that was both disruptive to the prepress industry and also enabled former prepress companies to enter the short-run color printing market. Robert Howard died on December 19, 2014 at the age of 91. Although he is not a well-known figure in the history of printing—perhaps because of the variety of businesses and disciplines where he left his mark—Robert made critical contributions to the industry, especially in the final decades of the twentieth century. His exceptional talents as an engineer and entrepreneur were essential to the transition of offset printing from an exclusively analog process to one that uses a host of integrated digital technologies.